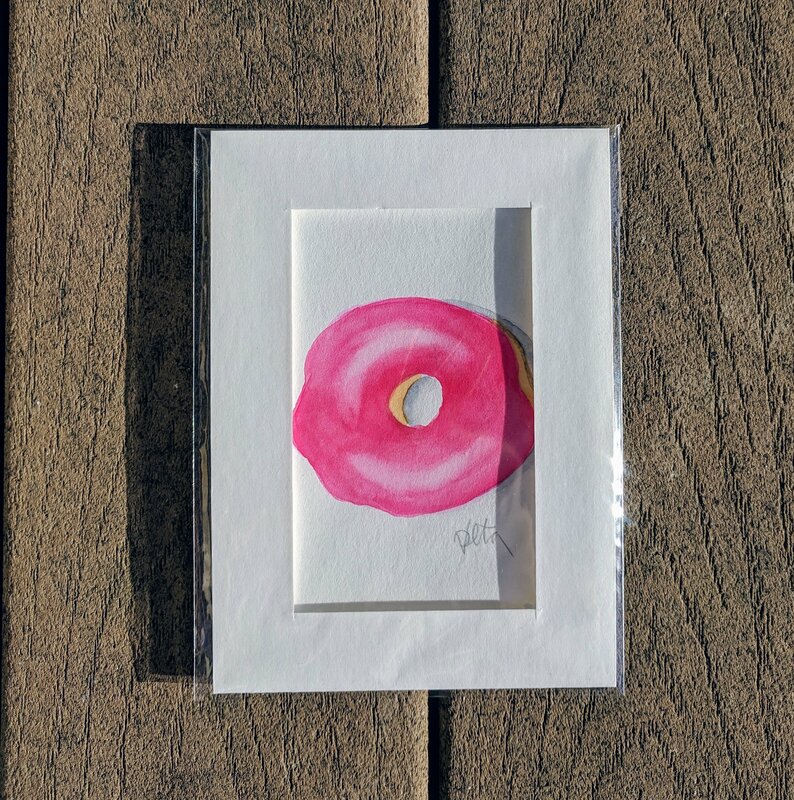 Enjoy this delicious original watercolor painting of a pink donut. 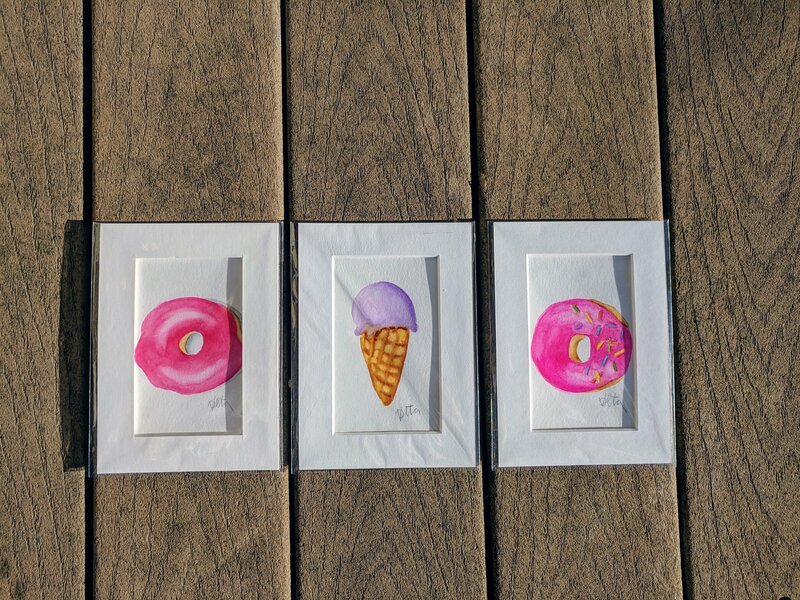 Illustration was painted with Daniel Smith watercolors on Canson Watercolor Paper. Art piece is signed and matted inside a clear protective sleeve. 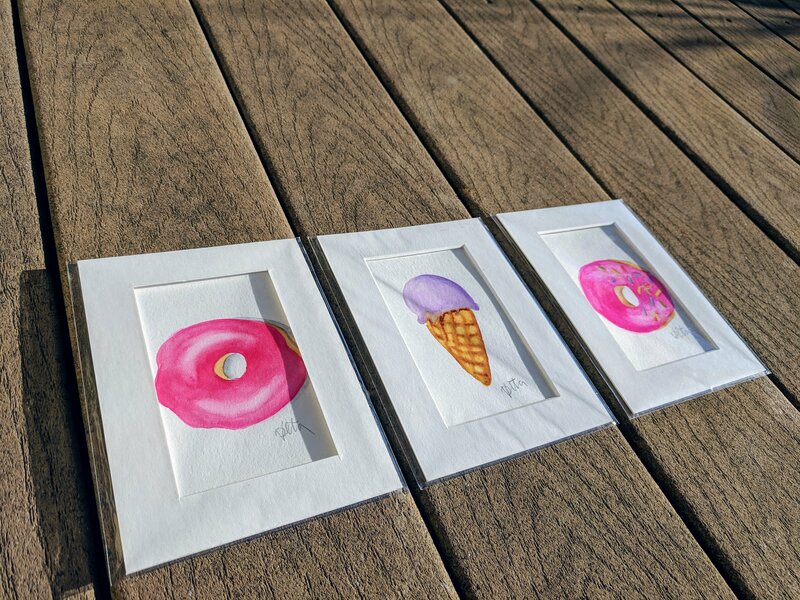 Hand painted with love in Dallas, TX by Volta Voloshin-Smith.